Roseanne Barr's exile from television may not even last the summer. The comedian, whose ABC series "Roseanne" was cancelled in May after a racist remark on Twitter, told her friend Rabbi Shmuley Boteach in a new podcast she is already considering a new offer to come back to TV. "Inside every bad thing is a good thing waiting to happen and I feel very excited because I’ve already been offered so many things and I almost already accepted one really good offer to go back on TV and I might do it," she said. "But we’ll see." Barr spoke to Boteach on Wednesday, but the podcast -- the second she's recorded with the rabbi since the show's cancellation -- was released on Saturday night. Barr did not specify any further details about the offers she's received to return to the airwaves. The comedian's May tweet, which has since been deleted, said that former Barack Obama aide Valerie Jarrett, who is African-American, was a product of the Muslim Brotherhood and "Planet of the Apes" -- "muslim brotherhood & planet of the apes had a baby=vj." She apologized to Jarrett the same day along with the cast of her since-canceled ABC reboot, "Roseanne." Barr said in the past she planned to reach out to Jarrett to apologize privately, but told Boteach this week she's yet to do so. "I do [plan to call]," Barr said. "But once again, it’s all about right words and you have to do a lot of meditating and praying for the right words and I just don’t know what the right words would be." 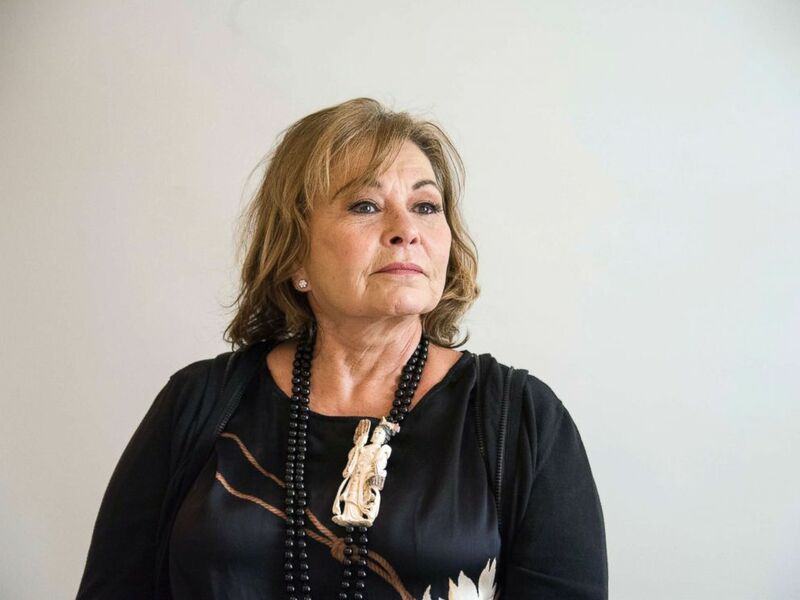 Roseanne Barr appears at a press conference at the Four Seasons Hotel on March 23, 2018 in Beverly Hills, Calif.
Much of the podcast, which lasts 71 minutes, is discussion of the Torah and her Jewish faith. Barr also said she didn't ask for a payout to sign away the rights to her namesake show. ABC announced on June 21 it would be airing a spinoff of "Roseanne," called "The Conners" and focusing on much of the remaining cast. "I thought signing off of my own life’s work and asking for nothing in return I thought that was a penance," she told Boteach. "Sometimes you ask people what do you think should be done to you knowing what you’ve done wrong and it seems that people always know what should be done to them. I just knew that was the right thing and I want to do the right thing because I’ve lived my life, most part of it, to do the right thing for all people, not just Jews."